Whole gene, whole haplotype, and whole genome sequencing for all living species. As a pioneer in HLA sequence based typing, we have provided millions of cost-effective HLA SBT for donor registries, pharmacogenomics, donor centers, cord blood typing, transplant centers, and HLA laboratories. Histogenetics is applying cutting-edge sequencing technologies to study all living species, helping lead innovation in human, plant, and animal research and precision medicine. Our pioneering work since our founding has led to SBT becoming the standard for HLA typing, making other methods obsolete for high-resolution HLA typing in donor recruitment and patient matching for blood stem cell transplantation since 2006. Our proprietary process provides a full suite of tissue-typing and genomic services with the highest level of quality assurance and accelerated turnaround times. By introducing SMRT sequencing for routine HLA testing for whole gene Class I and Long Range Class II, Histogenetics set the new Gold Standard. 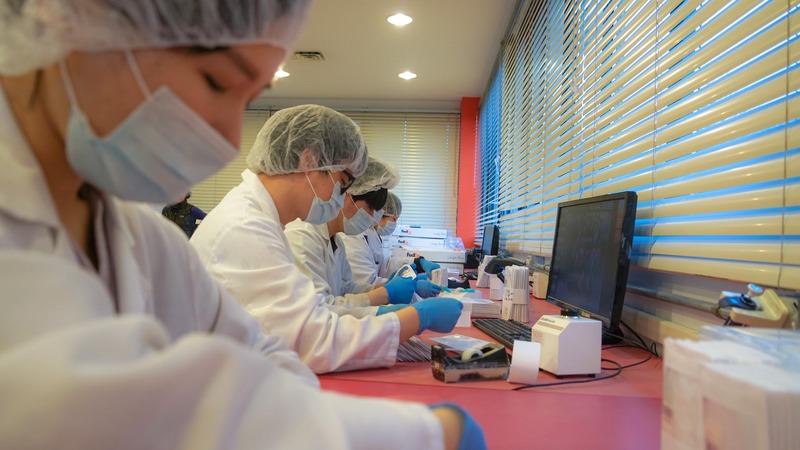 Histogenetics is currently applying advances in genomic technologies such as the PacBio Sequel and BioNano Saphyr platforms for analysis of Whole Genome by Sequencing and Optical Mapping, respectively. This will enable us to determine the complex genetic regions and structural variations that could be the basis for health and diseases. This new information will lay the foundation for Precision Medicine. Dr. Yang pioneered development of biochemical and molecular typing methods for HLA at the Biochemical and Molecular Immunogenetics Laboratory at Memorial Sloan-Kettering Cancer Center. With over 35 years of extensive research and experience in HLA genetics, Dr. Yang has created invaluable reagents and informatics for biochemical and molecular typing of HLA that have contributed significantly to the field of human immunogenetics. This internationally recognized expertise forms the foundation of HistoGenetics advanced technologies and services. Dr. Cereb has been a long time associate of Dr. Yang, with whom he has played a key role in elucidating the HLA-Class 1 intron sequences that made HLA class 1 DNA typing feasible. Dr. Cereb is an expert in introducing, integrating and implementing diverse technologies for HLA typing and has made high volume, high throughput and high resolution HLA-SBT a reality. His proven abilities stem from a diverse background in clinical medicine, particularly bone marrow transplantation and basic and applied immunogenetics research. 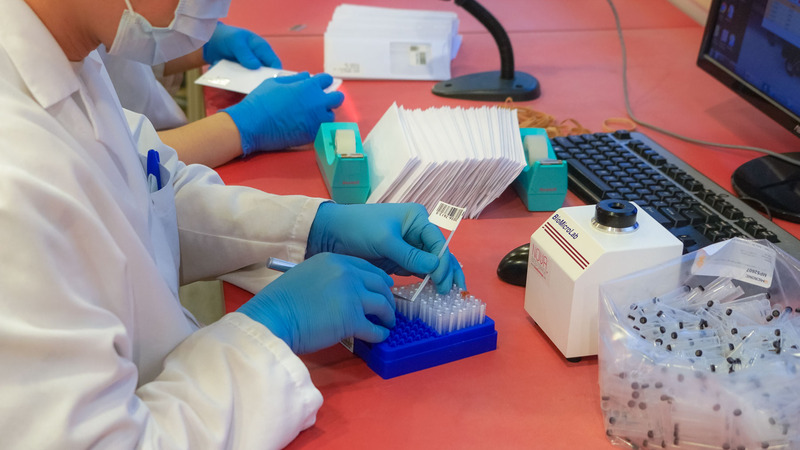 Using state-of-the-art reagents, software, and facilities, we provide a full suite of tissue-typing services with the highest level of quality assurance and accelerated turnaround times. TAT can be tailored for client requirements. Please use the quote form below and specify your requirements. Our main sequencing platforms are Next Generation Sequencing (NGS) technology using Illumina MiSeq and 3rd generation sequencing technology with Pacific Biosciences RS II and Sequel platforms. We have the largest fleet of MiSeqs in the world and also maintain a fleet of 3730xl (Sanger sequencing) as back up. We use SMRT sequencing for routine HLA testing for whole gene Class I and Long Range Class II. We resolve ambiguities that are not resolved using the Illumina approach and further characterize novel alleles using SMRT sequencing. Why do we need to test for HLA? In the 1950s it was shown that organ and tissue transplantation could offer a cure for numerous illnesses. But the success of these procedures depends to the matching degree between the patient and their donor for HLA. What regions do we test and match for in HLA? The regions of HLA proteins that interact with T-cell receptors polypeptides (proteins) are extremely variable from individual to individual (polymorphic), and they are called Antigen Recognition Sites (ARS). The polymorphism is conferred by DNA sequences that encode those polypeptides (proteins). In Class I molecules (HLA-A, -B, -C) exon 2 and 3 of Class I genes encodes for those polypeptides and they are called ARS exons. In Class II molecules (HLA-DRB1, -DQB1 and DPB1) exon 2 of class II genes encodes the ARS regions. Therefore in HLA testing we primarily sequence those exons and predict the protein sequences (1x High Resolution). DNA sequences that result in identical protein sequences for ARS regions are considered a match. What other regions could routinely be tested for in HLA? Some clinicians would like to test to see if it is possible to match for alpha-3 domain of HLA proteins. Exon 4 and Exon 3 of Class I and Class II genes encode alpha-3 polypeptides, respectively (2x high resolution). If alpha-3 regions are not matching but ARS regions match, if that donor is the best available donor otherwise, he/she could be selected for blood stem cell donation. What are Null Alleles and Common and Well Defined (CWD) Null Alleles? Some irregularities in DNA sequences may result in no expression or expression of totally non-functional protein. Those irregularities could be missing base(s) (deletions), have extra base(s) (insertions), or have base substitutions that result in premature termination of HLA protein synthesis (early stop codons). In certain cases those irregularities could happen in regions of the genes that are outside of the ARS regions. Therefore by just testing for ARS DNA sequences, one may miss those null alleles. This could result in calling a mismatch typing as a match and could affect the success of the transplant outcome. Those null alleles that have seen at least five times in different ethnic populations are tested in donors and patients. We call this extra test as testing for CWD null alleles. (3x High resolution). Can we test for other regions of the HLA genes? Now with advances of Next Generation Sequencing (NGS) technologies, especially of Illumina and Pacific Biosciences we can sequence all exons of class I (7 Exons HLA-B, 8 exons HLA- and –C) and Class II (4x High Resolution). When requested we can also provide the sequences of non-coding region between the exons, introns, along with the exon sequences (8x High Resolution). HistoGenetics provides a suite of tissue-typing services with the highest level of quality assurance and accelerated turnaround times. Our prices are competitive and we can handle any volume. Please fill in all details and click the SUBMIT button when completed. We will respond to your request at the earliest possible convenience. Your information is private and will never be shared with third parties.